When the teasers of the film were released in Tamil and Telugu, Keerthy Suresh had got an appreciation for her work in it. The biopic of Savitri, directed by debutant Nag Ashwin, is definitely the much-talked-about film of the season. While there are many biopics lined up this year for the release, Mahanati is the first one to hit the silver screen. 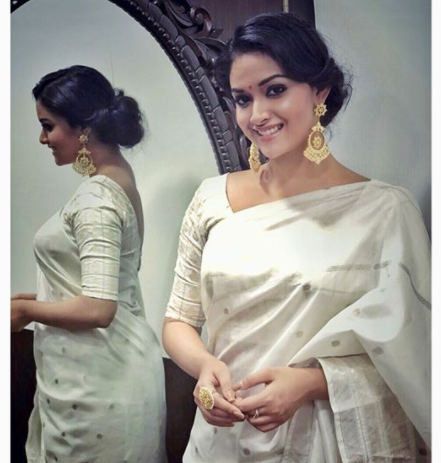 The film will see Keerthy Suresh in the lead role as legendary actress Savitri. It is, of course, a huge opportunity for her. However, ever since she has been roped in for the role of Savitri, a lot of people on social media trolled her that she won’t be able to justice the character. Well, the actress has left no stone unturned to get into the skin of the character. She had to put on weight and even had to shed few as per the demands for the role. Well, now we are looking forward to knowing how the film turns up. The hype surrounding the film is expected to do good Box Office business.